Trudie Styler at the Classical BRIT Awards 2007. Trudie Styler and Sting at the Classical BRIT Awards 2007. Trudie Styler and Sting at the Lavender Party. Trudie Styler at the UK premiere of "Amazing Grace." Jemima Khan and Trudie Styler at the London Fashion Week 2007. Trudie Styler at the Feast of Albion Quintessentially Gala Banquet. Trudie Styler at the premiere of "Man On Wire" during the 2008 Tribeca Film Festival. Trudie Styler and Sting at the London Fashion Week 2007. Trudie Styler at the Orange British Academy Film Awards. Trudie Styler at the photocall of "A Guide To recognizing Your Saints" during the 32nd Deauville Festival Of American Film. Trudie Styler at the Rodeo Drive Walk of Style Awards. Trudie Styler at the Broadway Cares / Equity Fights Aids Benefit. Trudie Styler at the photocall to promote "A Guide To Recognising Your Saints" during the 63rd Venice Film Festival. 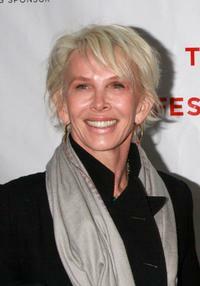 Trudie Styler at the screening of "A Guide to Recognizing Your Saints." Trudie Styler at the photocall of "A Guide to Recognizing Your Saints." 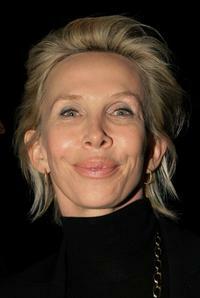 Trudie Styler at the Gianni Versace Fashion Show.